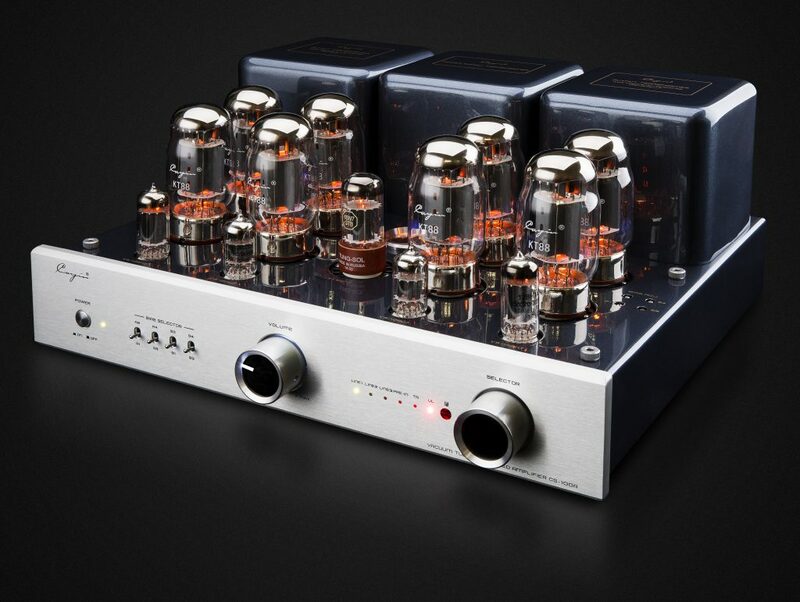 The new dual-mode Cayin Audio CS-100A tube amplifier is rated at 80 watts per channel in Class AB Ultra-linear mode and 50-watts per channel in triode mode. 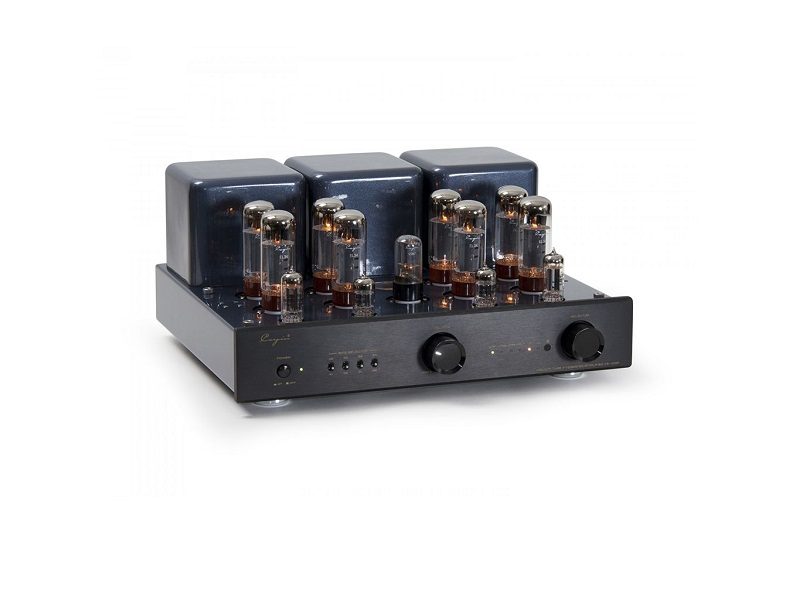 With an on-board bias meter, the integrated amplifier can run either KT-88 or EL family tubes and uses silver internal wiring. 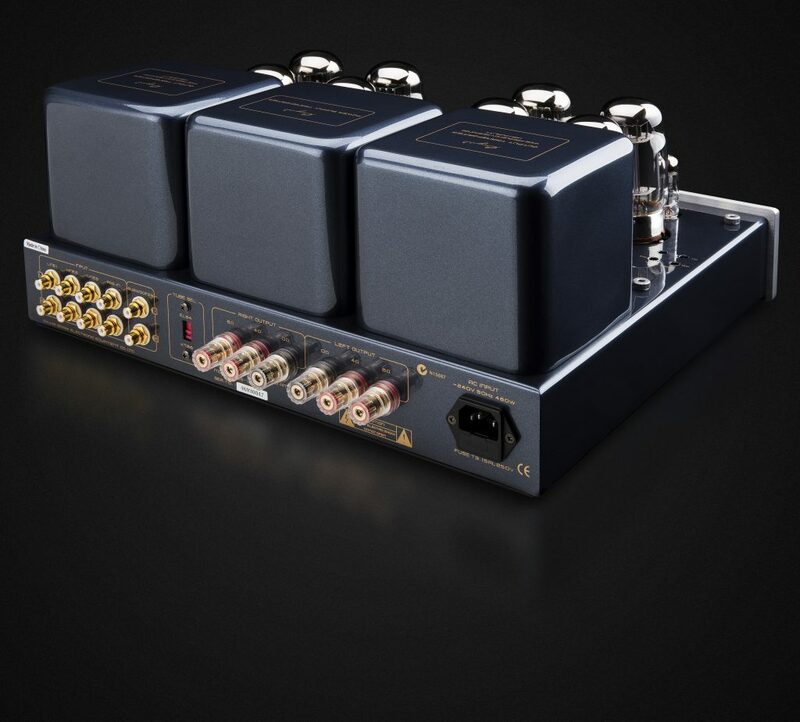 The CS-100A incorporates a 6SN7 tube for voltage amplification, 12AU7EH for phase inversion/voltage amplification and 12BH7EH for voltage amplification and driver stages, with KT-88 or EL-34 output valves. Soft-Start circuitry protects the amplifier and extends the life of internal components and tubes. A high grade Alps volume control, audio-grade capacitors, carbon film resistors, toroidal transformer for power supply and wide-bandwidth EI output transformers are all standard. *Option for Black color is available by special order. Please contact VAS if you are interested.